While there’s no silver bullet for digital transformation, belief in your own innovation and the newest technology can help, Hitachi Vantara heads tell ITProPortal. The UK is set to remain as an industrial heavyweight for some time, thanks in no little part to its willingness to embrace new and innovative technologies. That’s the view of Hitachi Vantara, which has emphasises how significant involvement in the UK’s many different industries forms a major pillar of its Internet of Things and industrial technology arms. Speaking to ITProPortal at the company’s Hitachi Social Innovation Forum event in London this week, the company highlighted how the recent government announcements, including this week’s industrial strategy, were incredibly important for the UK’s standing in the technology world. 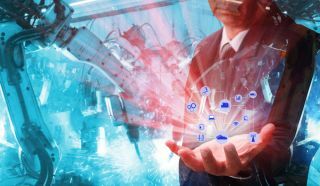 Hitachi Vantara, which was set up by the company to lead the way in encouraging new technological innovations and changes, has helped spearhead the firm’s work across a number of industry sectors in the UK as part of the wider push towards Industry 4.0. From nuclear plants to electricity infrastructure to train signalling, Hitachi has its influence in many of the country’s most crucial projects, and is fully embracing the need for technological innovation to encourage this. "We're a company with a huge internal desire to move into that digital world,” Richard Bradbury, Hitachi Vantara VP & UKI managing director told us. "The investment we're getting from our corporate team puts us in a different league from other technology companies who don't have that heritage and digital expertise that you really need in the IoT space." With around 300 employees in the UK (as a proportion of the total 10,000+ Hitachi workforce here), Vantara is making, “a massive difference” to how the 100-year-old industrial giant is seen in the industry, Bradbury says. “But there is no silver bullet answer, you can't just go buy a tool and have the answer overnight, you need to get the right partnerships and ecosystem all around you to nail your digital transformation journey." Overall then, it seems that the UK’s industrial future looks strong, especially if it has the support of global giants such as Hitachi Vantara, which has the knowledge and contacts to ensure its investment and work here is a long-standing arrangement. "We stand out, our ability to help those companies and partners on that journey helps us stand out above our competitors...across all verticals,” Bradbury notes. “We're an industrial giant with end-to-end technology and expertise that really makes us stand out"